Sunday: My husband had recently resigned from his job to pursue writing full-time. Wednesday: I was called into a meeting at work. My co-workers and I joked, "This is probably the day we'll lose our jobs." We gathered into a crowded, makeshift conference room on the first floor. The meeting was no longer than 5 minutes, with one announcement. Yep, we were all probably losing our jobs. Friday: I was eagerly prepping for a Indy Modern Quilt Guld retreat at my house. Cleaning, sorting the door prizes (my favorite part! ), cooking a bit. In between preparations, I received a voicemail which changed everything. "Lindsay, we've been trying to reach you. Give me a call, because we want to move forward with your book proposal!" I am honored, humbled and so very grateful to announce that I wrote a book! 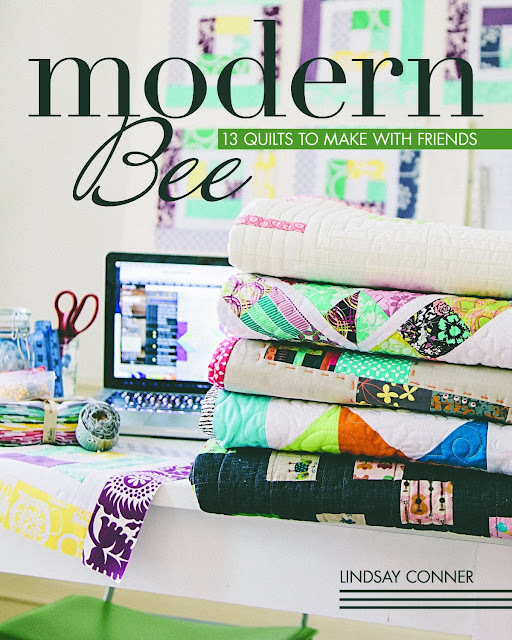 Modern Bee: 13 Quilts to Make with Friends, will release October 1, 2013 with Stash Books/C&T Publishing. For me, this project marries some of my favorite things: modern quilting, community and celebrating the work of creative individuals! Quilting TOGETHER. Creative oneness. Coming together to do something that none of us could do on our own. Someday soon, I'll share more about the process of putting this book together. I didn't do it alone, but with the help of some very talented contributors! I've set up a little website so you can learn more about the book, the amazing quilters and some HUGE news that I cannot wait to share. The book is also available for pre-sale on Amazon! Let's celebrate with a giveaway! 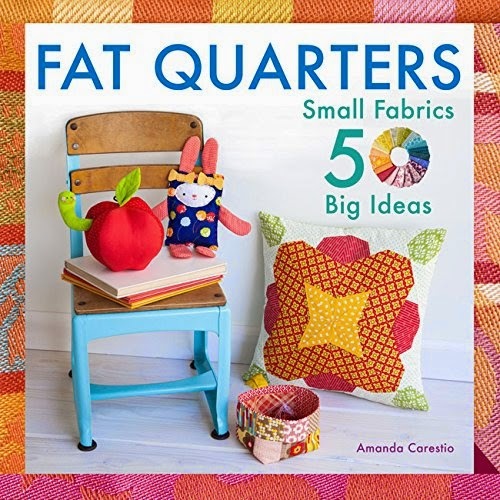 Leave any old comment on this post (you can let me know if you've ever quilted with a bee) and I'll choose one random winner to receive a FQ bundle of Textures by Angela Walters for Art Gallery Fabrics. Giveaway open in the U.S. and ends Wednesday, 4/3! Giveaway closed. Congrats to #45, Lisa! Second winner chosen: #178: Elaine! I have been part of 30+ bee quilts now and I absolutely love the entire process of bees. I have made some wonderful friends. Congratulations on the book release! That is amazing! Can't wait for your book. I have quilted with a few bees (local and on-line) since I took up quilting again this January after about 30 years away. Back then everything with so traditional and I now recognize I'm really a modern quilter. Congratulations on the book. I've never done a bee but would love to try one. Congratulations on your new book... how exciting!! Congratulations and thanks for the chance to win!! Wow! congrats to you! I have never sewn as part of a bee but would love to. Maybe your book will set me on the right path to organizing one! I have not done a bee yet, but hopefully sometime this year! Love Angela Walters "Textures" Thanks for the chance!! That is sooooo awesome...espeically in the middle of all that other stuff going on! Congrats on your book and thanks for thinking of us with a lovely giveaway. Congratulations on such a super accomplishment! 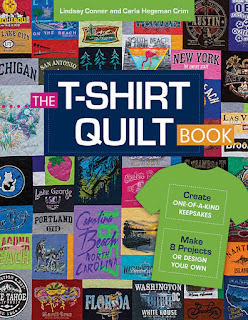 This looks like a great addition to our quilt guild library. And thank you for hosting such a sweet give away. I've never quilted with a bee but it sounds like fun. Congrats on the book! more huge news coming? you are in full swing! congratulations. Congratulations! I know you are so excited to see your name on a book cover! P.S. When I read the closing date for the give away I thought, "Cool, that's my birthday." And then I was thinking, "That's a long time away... a long time to have a give away open." But then it hit me, that's just next week! Ah! Congratulations ! Your book has been added to my wish list Fall. Congratulations on your book ............the bundle is yummy !! Congratulations on your book! It must be so exciting! I am a new self-taught quilter and have never joined a bee but would love to some day. Thank you! Congrats! I'd definitely pick up this book! I enjoy some social sewing - one of the MQG's I go to has big sewing days which I enjoy. Thanks for the giveaway! Wow! You must be so proud! Such a wonderful accomplishment. Congratulations! Really Congratulations! What a year its been for you and your family too. I cant wait to hear more about the book. Looks like a fun read!! Thx for the giveaway! Gorgeous bundle! Congrats Lindsay -- I'm excited to see your finished product! I've never quilted with a bee, but maybe your book will give me inspiration to dive in. Congratulations!!! I am so thrilled for you and your new book! Blessings heaped on blessings! I have done one bee, but trying to catch up with my own projects now. I know I will want to do it again in the future. Many congratulations!!! That's great news. Congrats! No, never been part of a BEE. It's probably because we live quite far from the city. Congratulations!! So glad things are working out, and it looks like a fun book!! WOW! that is so exciting. Congratulations! on your book. I have been in a bee. I am in one now that is dedicated to hand appliquers. i have never quilted with a bee but i would love to. Lindsay, that's so exciting! Congratulations!!! So excited and honored to be in this book with you and all the other talented friends. Can't wait for your HUGE news too! Go girl! congrats on the book! i'm the host of 2 bees and i've been in a few others. i love them for the collaborative creativity. Congratulations on your book. I'm not sure if what my 3 sisters & I do would be called a "bee". We live in 4 different states, but we've made 2 quilts for my father, done several round robins, a row robin, block exchanges and this year a mystery quilt. Thanks. Quilting is still very new to me. Most of my sewing has been for home dec and practical clothing alterations. I guess I've been a loner. So, no, I haven't experience a Quilting Bee. Your book should give me some insights as well as project inspirations. 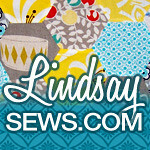 Thank you, Lindsay, for the opportunity to win a FQ Bundle of "Textures". The fabric looks both refreshing and soothing. I have participated in a bee...so fun. Your book looks fantastic. I enjoyed reading how your week went...kinda like a roller coaster with it ending on a high note. That looks like a really fun book. Looking at pictures of quilts is just about my favorite thing in the world... after new fabric. Hi! Congratulations!! A dream come true :) God is so good with his timing isn't he :) I have never been in a quilting bee but it sounds like a blast! May have to check into it and start one where i live. I sadly have never done a bee, although the thought of one seems awesome! I look forward to reading your book! YAY!!!! I'm so excited for you Lindsay :) I can't wait to get my copy!!! I have never quilted in a bee but I do LOVE modern quilts. Congrats on your new book. Congrats, Lindsay! The book looks fantastic. I'll be looking out for it! I have never participated in a quilting bee. I work full time, so the opportunity has never presented itself. Congratulations on the new book, and I hope it will lead to opening many other doors in your life. Prayers to you and your family, on everything that life brings! I've never participated in a bee. 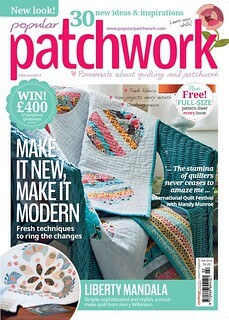 I don't know enough quilters in 'real' life! Congratulations on your book! I look forward to reading it. Last week, my girlfriend spent 5 days / 4 nights in a charming cabin in Nevada City, CA, the sole purpose of which was to quilt. Our car was loaded with a cutting table, design wall, mats, rulers, sewing machines, fabric, food and wine. Does that count as a Bee? I say yes!! BTW, I was able to finish 6 tops that were in various stages of completion and have a 7th almost done. I say yay for me!! Now, on to the quilting of the tops. Congratulations on your book - how exiting! This is so exciting! Congrats!! I just joined the See Bee it bee this year. Congratulations on your book. Congratulations! I've done oodles of bees along with several round robins and row rounds. Lots of fun! Can't wait to see your book. That is so exciting! I have never done a quilting bee before but I am really intrigued by the idea. I will definitely be ordering this book. I've never been in a quilting bee sounds like fun. Congratulations on the new book. I have been involved with quilting bees and have had lots of fun with my friends. Congrats on your book! Wow! Can't wait to see the book! I have never sewn with a bee, but I've thought about it some. Great news for you!! I'm brand new to quilting and have never quilted at part of a bee before, but it sounds like fun and I want to try some time. Congrats on the book! 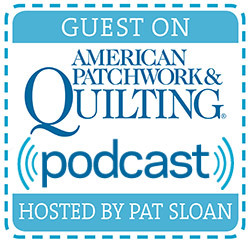 I'm so SO SEW excited to be part of this--I was honored just to be part of the quilting bee with all these amazing women--the book is frosting on the cake! How thrilling for you, congrats! I have been part of three bees, and all three are still a pile of blocks. I really must make them up into quilts! Congratulations! That's so exciting! I'm so happy for you! That's so much fun! This is awesome! I am so happy for you on your book! And I am sure we, meaning your followers will be happy with it too. Yes I have been part of a few bee's and to tell you the truth I think it is another way to enjoy the art we all love to share which is quilting...Take care and love the fabrics..
Congrats on the book! Sounds like it will be packed with goodies :-). I haven't ever been part of a bee, but it's something that I'm looking forward to this next year as both of my kiddos will be in school. Holy crap, Lindsay! Congratulations!!!!! It looks beautiful, and must feel like such an accomplishment! I'm going to order one! Congratulation! I can't wait to get your book. Yes, I am currently in a bee and have been in two others. So much fun. i think one of the best things about quilts are the stories - and i love yours! can't wait to have your book! and of course, the fabrics in the give-away are great! My congratulations as well. I only started quilting in October and as of yet have not participated in a bee. I'd love to try one, but time constraints have kept me from committing as of yet. Thank you so much for the giveaway, and congratulations, that looks like a great book! I've never done a bee before, I am hoping to be brave and confident enough someday to join one though! Congratulations on your book and thank you for the opportunity to win. I wish I could join every bee I see, sadly, I just participate in spirit rather than actually completing the project. Maybe soon I can jump in and complete rather than just watch from the sidelines. Congrats! Have made a few bee quilts and they r all so much fun! I have never done a bee, but it could be fun! Those fabrics are beautiful, thanks for the chance to win. Congrats on the book! Congrats on your book! What a up and down week for you...but it ended well! Never done a bee but it is fun to read about them! Congratulations on your book! I've never participated in a formal bee, but I have contributed blocks for quilts of valor. I would love to try one though. Your book looks interesting and I will definitely be looking forward to seeing more of it. Thanks for the chance to win the lovely fabric. Love the book. When I was 4/5 I would sit under the quilt that my grandmother's quilting bee was quilting and play. I remember looking up and seeing the hand under the quilt guiding the stitches and hearing the buzz of women sharing stories and talking about being mothers and wives and single women too. many hands made quick work of that quilting. I've quilted with lots of bees, but do.good.stitches is my current favorite group! I'm the member of a bee that's currently making a memorial quilt for the husband of a member. It's a way for us to get together and remember a man we all loved and at the same time support our friend who has lost the love of her life. We're all pretty excited about this project, while mourning our friend. Pretty complicated, huh? Thanks for the getaway. I belong to three bees, two of them on flickr, and one through the kcmqg. I love sew with my virtual friends! this book looks awesome! I belong to a bee through my MQG. Lots of fun! I've just joined my first bee and am so excited. It's all about sewing hexagons. Thanks for the opportunity to win some new fabric for my hexagons. I haven't been able to work on a Bee quilt yet...timing never works out. But I'd love to make something with this lovely fabric! Congrats on the book! I am actually doing my first bee and I'm really liking it. Lindsay I'm so proud of how far you've come with getting a book published! It's awesome that we've done a bee together and I know you from "Before you were published!!" CONGRATULATIONS! I have never been involved in a quilting bee. Thanks for such a great giveaway. Way to go! What a great day for you all! I have not been in a quilting bee but have helped make lots of quilts for our Childrens hospital and other charity's. Thanks and the fabric looks wonderful! Everything happens for a reason, right? Congrats on the book, I lookk forward to seeing it in person. Congrats on your book!!! I've participated in so many bees, resulting in so many quilts, I can't even count. I'm quilting with two bees right now. So much fun. Congratulations on your book! Congratulations (and what a roller coaster week that must have been)! I've not quilted with a bee, but I would like to someday! I have not been apart of a bee. Love this fabric!! Excited about the book. The cover of the book looks great! I can't wait to see this one. 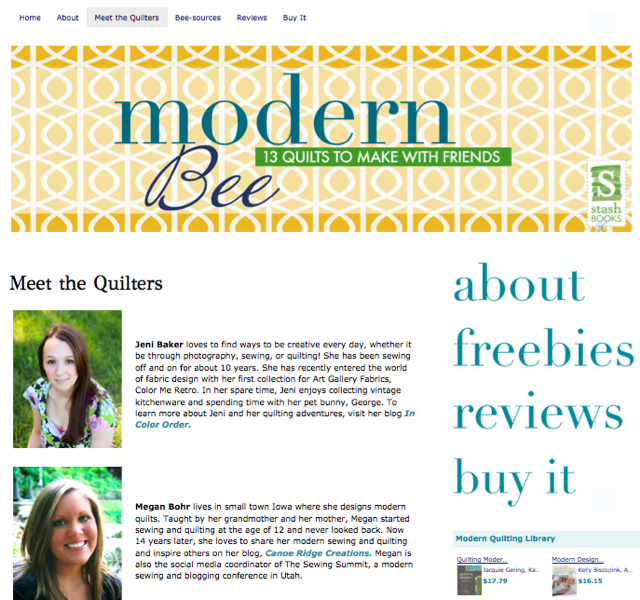 I have been in a round robin bee with the Dallas Modern Quilt Guild, and it was so much fun! Congratulations on your book. I was fortunate enough to be asked to make two quilts for someone writing a book and I know my excitement was nothing compared to the writer and his family. Enjoy your good fortune. I have not really participated in any bees. Congratulations Lindsay, such exciting news. I haven't been part of a quilting bee but would love to. Thanks for the chance to win this lovely fabric. How exciting! Congrats on the new book. Hi, You,ve certainly been on a rollercoaster ltely. Congrats on your book. love the name and great subject. No i don't belong to bee bu 2 quilting guilds one of which is small but very active and fun loving. Your give away looks yummy,perfect for making a modern quilt. Love the fabric! Used to quilt every Monday for 10 years. It was great. Congrats on your book! How exciting! And yes, I'm part of a do Good Stitches bee - it's been lots of fun. But I think next I'd like to be part of a bee where I actually get to keep the quilt - donating them is sometimes hard and sad! Congrats on your book! I've never sewn with a bee, but am hoping to start soon! Congratulations Lindsay, the cover looks great and can't wait to see the rest of it!! Wow. Talk about an up and down few days ending with big news. Congratulations on the book. How exciting! To answer your question, no, I have never been part of any bee at all. I'm still not sure of my skills in quilting to feel comfortable in doing so. What a GENIUS idea for a book! I'd love suggestions for bee blocks and quilts to make with friends and I LOVE your work ~ can't wait to see this book! Wow! What a roller coaster ride in just a few days. Congrats on your new book! And no I've never been part of a bee. Wow, you've had some amazing days!! Congrats on the new book. I've not done a bee... but think this looks like a great book -- congrats on the publishing adventure! The book looks awesome. I've never quilted a bee. I totally want to though! Congratulations! I've never done a bee before...still a newbie to quilting. Congrats....how wonderful for you. I've only been in one bee and had a fabulous experience. Congratulations on your book! I've never been part of a quilting bee before, but have been interested in participating in one! Congrats on the book. A good example of the saying "when one door closes another one opens". I have not done a bee and don't know how to find one. Would I even have the time? Congratulations on publishing your first book. I have not joined a quilting bee yet. Maybe this summer... I love the colors in the FQ giveaway. Congrats! I've never joined a quilting bee. Yay, congrats, Lindsay! I love the cover! It looks awesome! I just discovered your blog through the blog hop and so far am LOVING everything I see!! I am going to have to order your book! I think it would be fun to start a project with my quilty friends (and coworkers). I look forward to following you!! Great job on your new book!! Congrats, Lindsay! I am so happy for you!! Congratulations! What an exciting accomplishment!! The book looks beautiful, can't wait to see a copy. Thanks also for the giveaway. Congrats. One door closes.... And beautiful quilts open another. I've never been part of a bee but I'd love to in the future. Congrats! It's amazing how life always works itself out! I've never quilted with a bee but I've been looking into it recently and your book would be most wonderful! Im headed right to the new website now! I've been lucky enough to participate in two bees, but I'm still trying to catch up in one. Gah! I've never been part of a bee. I've been quilting for years but just discovered the online community and I see a lot of bees happening. I'm sure I'll join one soon! Congratulations!! I only started quilting/sewing 8 months ago. But since I've started, I can't stop. Thanks for the great giveaway. Congrats! I've been sewing for a year/quilting 10 months and I haven't been part of a Bee yet. My husband is being PCSed back to Fort Hood, TX (where my family is) and I'm hoping I will have more time to quilt, do a Bee, join a quilt guild, and learn lots more! My mom has already told me she's stealing my daughter from time to time. lol thanks for the chance to win! I am fortunate to belong to a quilting bee. We call ourselves the Redbird Bee (a tribute to St. Louis Cardinals!). It is comprised of 12 members. We are in our second year and are having so much fun learning and making blocks for one another. I'm super excited for you girl! This is pretty much awesome! Bee's yep - I'm in one right now too. Have I ever finished those quilts nope. Congrats!! I've been in a number of bees over the years - such a fun way to meet new people! I have never done a bee, I have only been a member of our modern quilt guild for about a year. But did just finish a round robin with them and that was a blast. Thanks for the giveaway! I love Angela's fabric. Congrats on the new book! Can't wait to see it. And thanks for the great giveaway. Congratulations! I can't wait to check out your book. I've never participated in a bee because my sewing time is so fly by night. I don't want to let the bee down. 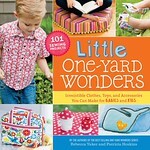 Congratulations on the book- it looks great1 i have participated in a couple of bees- lots of fun! And the fabrics are scrumptious! Thanks for the giveaway! Congrats! That's wonderful news! I just joined do. Good Stitches, which is my first bee. I'm really excited to be a part of it and see more bees in my future. Thanks for the giveaway! Congrats on the book. You are among some very talented people there. It will be a huge hit. I love bees. I am in 4 right now. First off congratulations and secondly wow that's a lot of stuff to happen in one week. I am not a part of a bee nor have I been in one, maybe in the future as I get better at this sewing stuff, I just started a few months ago. I've never quilted with a bee, but maybe one day. Congrats on the book, it looks great! never quilted in a bee, but classes, with friends at my home on the back porch, online at BOM's, I do enjoy making projects and have recently taken a huge interest in modern quilting and am working toward my own projects! Good luck with your book and quests! 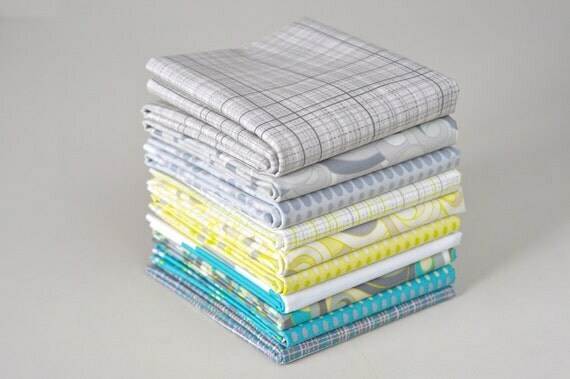 I am just now getting into modern quilting and I am obsessed:) What a great bundle to add to my stash - should I win this wonderful giveaway! Thanks for the chance Lindsay! I have been in a bee called Tuesday Threaders - but moved and haven't been able to find another to join. Can't wait until your beautiful book is available. Congratulations on your book! I can't wait to read it! Is 2 people a bee? My mom and I quilt together and I'm actively trying to convert my daughter to quilting! Wouldn't that be cool?...3 generations. Congrats. the cover is beautiful! I'm just starting to quilt so I've never participated in any bees. I'm excited to learn more about quilting though. Thanks for the chance to win, and your book looks great. I am a newbie to quilting and am loving everything I learn! Super fun giveaway! I'm in several bee's right now, sounds like a hive in my sewing room around the first of the month! I've only been quilting for a year, and do not know anything about Quilting Bee's except for what I have read in books. Thank you for the chance to win. Never done a bee. Congrats on the book! I am in my first two bees this year. I think they are so much fun and really help to expand your skills and help you step out of your "box". Thanks for the generous giveaway. I love that Angela Walter's fabric! Congratulations on the book! I haven't taken part in a bee but am considering one that is getting ready to start. Thanks for the chance. Congrats on your book! It looks wonderful!! Congrats on the book! It looks beautiful! I have never quilted in a bee but I'd be totally interested in doing so! Congratulations on the book! Isn't it amazing how everything worked out?! I've never participated in a bee, but it sure sounds like fun! I do participate in swaps at times, but they are for things like mug rugs and table runners. That is awesome! Good for you! Looking forward to checking out your book! I've never done a bee before, but wouldn't pass it up if ever put to the challenge! Would LOVE to win! Thank you for the chance! Congratulations, Lindsay! Yet another sign that I need to give quilting a try. The book looks gorgeous! Looks like a great book! Congratulations to you! I haven't yet quilted with a Bee but love to follow along! Congratulations on your book. I've not quilted with a Bee yet but would love to learn. I enjoy learning new things esp since I've only been quilting just over a year. Some people say it is God's plan, some people say it is fate.... whatever your beliefs, your confidence in yourself and in your ability to accomplish this has made your dream a reality. Congratulations! 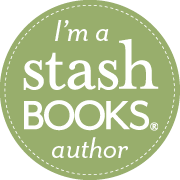 Yes, I have been part of a group that is like a modern quilting bee. We make blocks for a different member of the group every month. We've been together for about 15 months. Congratulations on your book. I love modern quilting since it seems to only have the boundaries my mind places on it. It's fun to imagine and start sewing. Our quilt shop has a modern quilting group which meets monthly. big congrats!! can't wait to hear more about it, hopefully at an upcoming MQG meeting. I'm so excited about your book! Congratulations! Congratulations ont he book. Cannot wait to get my hands on it.... I am still relatively new to quilting . But hae sewn my entire life. I moved there to this small town that has no fabric shops or quilt shops. And no sewers are quilters besides my sister whom I have met. So I have been following blogs and learning about all this quilting stuff. Still haven't quiet figured out what a bee is or how it works. But always see posts about bee blocks. Would love to learn more. Wow - what a week that was! Congratulations on the book. It looks like a real winner!! I have never quilted with a bee before, but it does sound like a lot of fun! I 've done on online bee, with mixed results. love that fabric. Looks like a fun book. Congratulations on the book. I've never participated in a bee. I have done a few group quilts and I know I would enjoy a bee. congrats on the book! our senior center always has a quilt on the frame, but i've not been up to sitting down and quilting with them. I have never been part of a bee. I should work on that! Wow! This is awesome news! I've never quilted with a bee before, but I've been thinking about it more and more lately. Maybe in a few months I will have talked myself (and my husband) into it enough to take the plunge! MY CONGRATULATIONS ON YOUR BOOK,LINDSAY! LOOKS GREAT! SURE TO CHECK IT OUT! NO,I'VE NEVER BEEN IN A QUILT BEE>SOUNDS NEAT THOUGH. THANKS FOR A SWEET GIVEAWAY TOO! Wow congrats on your book - it looks fab! I have been in 4 bee's - 2 are still in progress though I have never quilting a quilt in a bee - just the blocks pieced and mailed to each other. Thanks for the chance!! I have never tried a quilting bee. Thanks for the giveaway! The fabric is sew pretty! Congratulations! That is so exciting. Thanks for the great giveaway!